This is a very special post. We are approaching June 15th, 2011. Time to celebrate. You might ask: What? Why? Those not familiar with the history of Nikon’s digital SLR cameras, or those who joined the growing community of digital Nikons later, the date might not trigger any worthwile memory. Let me help. Exactly 12 years ago, on june 15th, 1999, Nikon officially announced the famous and remarkable Nikon D1 – which can be easily considered a breakthrough in the “total package” of a digital SLR at its time. This camera deserves so much credit starting the digital SLR revolution in the last millenium. So it is its 12th birthday – a perfect opportunity to look back and reflect a moment about the progress and evolution of this growing line of digital cameras by the “yellow” company – Nikon. 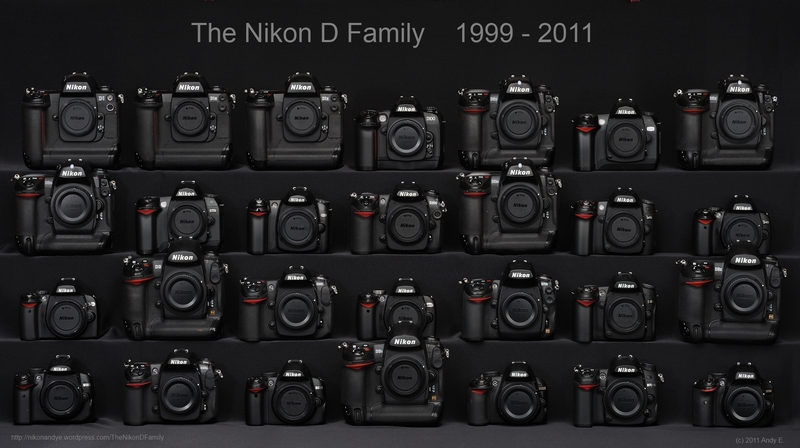 Talking about innovation, Nikon introduced 28 D-SLR models in these 12 years with increasingly more capabilities. Taking a step back and looking from a distance at all cameras it is nice to see, some of the design patterns the company was very careful to maintain over this period. A few exceptions here and there, but overall a remarkable level of consistency across all cameras. If you are interested, I’d like to invite you to a mutual journey through this period of 12 years and share the evolution of the line-up from the D1 until the very recent D5100. Ok, let’s start the journey in the last millenium. Doesn’t it sound an awful long time ago? Hey, we are living in internet time. 12 years is an eternity, plus something. For our journey I’d like to reflect back, how Nikon positioned all new models in their announcements and some excerpts from the respective brochures. If available, some personal comments and contextual information is added. Before we start, I’d like to share some images, I think and assume have not be shared before on the internet. 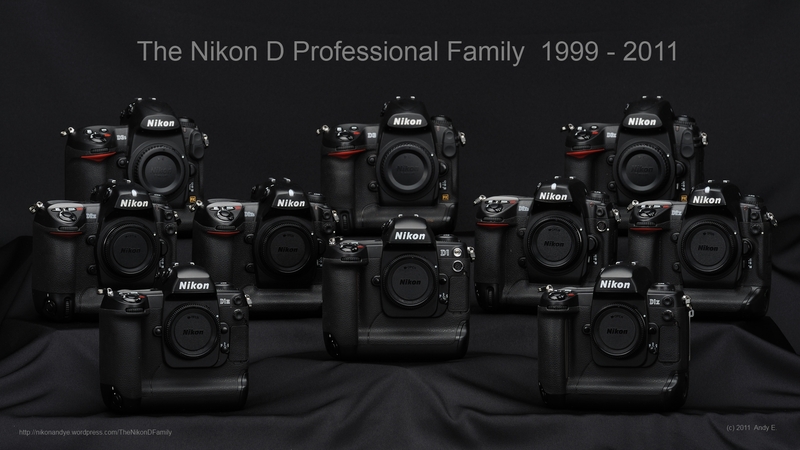 Please find below a group picture of the 28 digital SLRs Nikon introduced in the last 12 years. It all began with the D1 on june 15th, 1999 and the latest incarnation is the D5100 introduced just a couple of weeks ago. Take it as a kind birthday gift to all out there who are interested in this journey. 1999. It is the year were all began. Nikon had some previous digital attempts, like the Nikon E-series cameras. According to Jarle Asland’s Nikonweb resource, current estimates are that about 2.300 cameras had been produced by Nikon and about 1.500 more or less identical E models by Fujifilm. Hardly numbers fit for the mass market. But important technology trials and feedback vehicle towards the full assault to the massmarket the D series was designed for. We should not forget, that Nikon had a partnership with Kodak, where Kodak produced digital SLR cameras (600 and 700 series) based on the Nikon F5 frame. The DCS 760 represented with 6 MP the leading edge at this time, was very expensive (8000 $) and was sold only in relatively small numbers (one of the key barriers for reducing the pricepoint over the lifecycle of a product in the consumer electronics market). Early in the year, rumors were widespread about the upcoming D1. On June 15th, Nikon unleashed the Nikon D1 with the easy slogan “D1. It’s what you need. Now”. Nikon’s marketing department focussed on 3 key messages (with lots of technical data to support the points). What did a customer get for the 5.580$ SRP? 2,74 Megapixel. The term APS-C wasn’t defined in 1999, so we got 23.7 x 15.6mm size CCD and (hurray) a low-pass filter for “ultrahigh-definition” images. The D1 had 3D Matrix metering with 1.005 pixel CCD and as the term Expeed wasn’t invented yet, you got a LSI (large scale integrated circuit) with an “original Nikon algorithm”. As TTL with existing Speedlights didn’t work with the different refelctive conditions of a digital sensor, Nikon introduced the new SB-28DX as well. A lightweight magnesium body like the F5. 31 custom settings (are you remembering the cheat sheets people printed out?) . Compatibility with more than 80 F-mount Nikkor lenses (plus and indication of the 1.5x crop factor) and Compact Flash cards. The D1 accepted CF Type I And Type II cards. As flash memory was hugely expensive, people used quite often IBM Microdrives (340 MB and 1 GB) which were of Type II. It was a very exciting time. Phil Askey of dpreview.com (still independent at that time) created a very comprehensive review, Philip Greenspun, Rob Galbraiht, Thom Hogan, Uwe Steinmüller, imaging-resources.com were active as well. “Serious” Nikon D1 users met in the d1sscussion mailing list operated by Jürgen Specht. The austrian Gerhard Strobl took the effort and created the first 118 page unoffical FAQ document for the D1 which was extensively used by the community to facilitate information aggregation. (Similar inofficial FAQ would save countless forum threads today). Shooter soon figuered out that digital cameras are great, but some things were different to the film era. Sensors were formidable dust collectors and Nikon prohibited user cleaning. Rob Miracle came up with the fragile method of pressing the shutter with “Bulb”, and as long you kept the shutter pressed, you could clean the sensor with the second hand. But NEVER EVER release the shutter, while cleaning the sensor. The super fast speed was partially hindered by the settings. While JPEG processing was really fast and almost instantenious, switching to RAW cause the camera to crawl. Storage time went sky high, 45 secs per photo not uncommon. People complaining today about slow CF/SD cards shoud respect that a microdrive could only deliver 0.5 MB/sec and the D1 electronics limited the fastest CF Cards (12x Lexar) to data rates well below 1 MB/sec. Nevertheless, despite the minor issues the D1 proved to be a huge success and sports shooters marvelled about the speed and convenience the D1 provided. Backward compatibility with older Nikkor lenses helped additionally to convince people spending the steep amount for the body. It’s fair to state: The D1 started the digital revolution in the Nikon world and had a huge impact in the overall market. It was indeed the breakthrough design developed by the Nikon engineers the market was very willing to accept. I do remember the very unique CoolPix 950 with its swivel design being introduced in 1999 as well. Broader availability of the D1 started in September/October of 1999. Nikon released 2 new professional lenses in June 1999. The MF 85mm/2.8D PC Micro and the formidable AFS 17-35mm/2.8D which became a legend in its own. 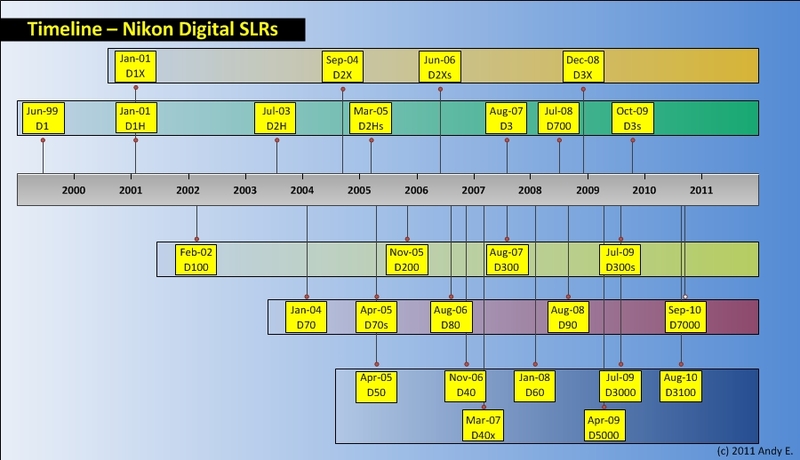 2000 was the only year in this 12 year period, where Nikon did not announce any new D-SLR. If caused by the lack of real competitors, by underestimating the innovation speed in the digital world, or just coincidence that the next generation was announced in january 2001 – I don’t know. Critics had their fun with 2 issues in 2000: 1) the new emerging class of pixel-peepers found higher noise in the blue channel than in the red and green and developed funny methods of single channel postprocessing to “mitigate” this issue. 2) Nikon did not implement color spaces in the D1 and shooters with a calibrated pp workflow had their fair share of challenges to create printed images with colors as intended (Nikon posted some remarks at the end of the year). BTW, If you took RAW photos with the D1, current versions of CNX2 produce stunning results with D1 images. Its one of the benefits of shooting RAW. Your output improves with the new generation desktop software. Cool. But 2000 was a great year for Nikkor lenses. Nikon brought 5 new lenses: the spectacular AFS 14mm/2.8D, the lower cost AFS 18-35mm/3.5-4.5D, the AF 24-85mm/2.8-4D, the AF 70-300mm/4-5.6G and the excellent AFS 300mm/4D. By today’s standards the AFS 300mm/4 is still excellent, the others show their (design) age in modern bodies. The year 2001 started with a double announcement and a new term. Nikon’s Total Imaging System vision was born. Nikon offered 2 cameras for this vision – the superior resolution with the D1X and the fast-action workflow based D1H. When Nikon introduced the D1 for the “mass market” they faced a production challenge with its new sensor. How to design a new sensor and achieve a high yield in production from the very start of the production process? The solution to this problem was called “binning”. The sensor of the D1 had 4 “real” sensels for each of the 2,74 mio pixels. By combining the information of the 4 smaller sensels, Nikon could increase the uniformity of the output over the full array and secondly, failed individual sensels could be easier mapped out and henceforth increased the yield of “good” sensors in the production process. The D1H continued the use of original sensor with better electronics around it. The D1X was an interesting engineering exercise. 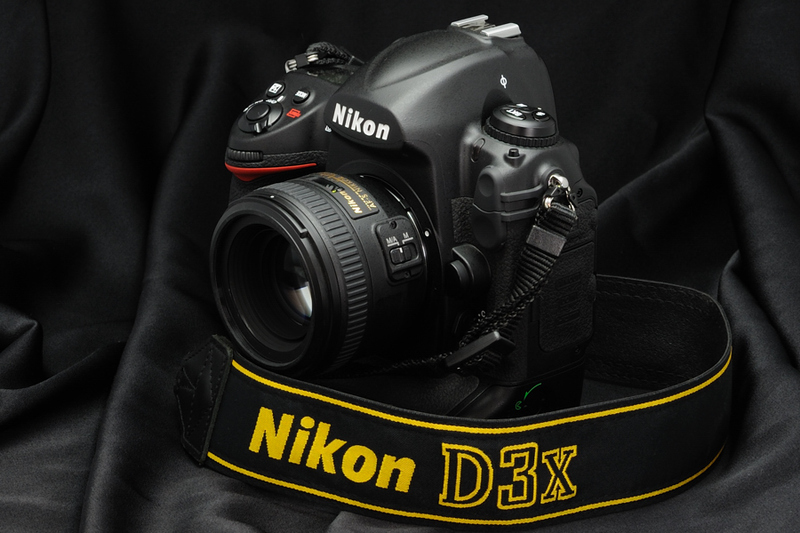 Nikon moved in the D1X from a 2×2 binning approach to a 1×2 binning structure. This caused the camera to have a “real” resolution of 4,024×1,324 rectangular pixels which were converted to a 3,008×1,960 interpolated final image with square pixels. Later versions of Capture allowed to store D1X RAW files optionally with 10 MP. As both cameras were simultaneously announced, they shared a sginificant amount of common messaging. Super high speed image processing by new LSI (large scale integrated circuit). Nikon competitors hadn’t introduced their marketing gimmik of giving the LSI a name which can be trademarked. Nikon later introduced the name Expeed for their LSI chip. The newly introduced cameras shared the same Ni-MH battery with the original D1, which delivered a couple of hundred shots per charge. Another new introduction was a protective cover for the TFT, which was not clear but rather opaque. Quickly, an aftermarket developed for more usable hoods. Nikon Capture 3 and Nikon View 3 were the software offerings accompanying the D100. Nikon had to change the user interface layout to fit the smaller body and had to simplify to match the target price point. Gone were the second LCD screen. The top level LCD screen was smaller as well. Nikon announced 2 lenses, and one became (and currently still is) immediately a classic – The Nikkor AF-S 70-200mm/2.8G VR. Thousands of happy users showed fantastic images this lens, together with the D1-series and D100 was capable of. For almost 10 years, this lens was the standard high quality tele zoom lens to match. According to Roland Vink’s database, approx. 270.000 lenses were built. The second lens was the AF 24-85mm/3.5-4.5G for the consumer market. 2003 was another year, were Nikon announced only one camera. In July 2003, Nikon introduced the D2H, the successor of the D1H and – more importantly – the first body with a unique Nikon sensor design called the LBCAST. Resolution went up to 4,1 MP, speed increased to 8 frames per second. This body introduced the very visible white dot on the viewfinder for the whole D2 series. The ambient light sensor captured light at the location of the body supporting the whitebalance work of the camera through the lens. An option wireless transmitter was offered for predominantely sport and studio photographers. The shutter was rated for 150.000 cycles and was a brand new design. The new D2 shutter had a lower minimum shutter speed vs. the D1 series – 1/8.000th/sec vs. 1/16.000th/sec. Another new component was the CAM-2000 AF module with 11 AF fields (9 with cross sensor type). It was a remarkable camera for sports photographers, but the majority of the market waited for the higher resolution brother which became later the D2X. The market situation changed as well, as Nikon had definitive lead in the early years soon to be challenged by Canon with their quicker adoption of CMOS sensors. I still remember when the heated debates were in some fora, that photogs “threatened” Nikon to switch if the didn’t come out with a new camera and feature xyz. Funny days. 2003 was quite productive for Nikkor lenses of which 5 were introduced. In February the next iteration of the AFS 24-120mm/3.5-5.6G was announced. A lens which got a lot of goodwill at the beginning, but future camera generations showed quickly its limitations. July saw the announcement of 4 lenses. First, the AFS 12-24mm/4G DX opened up the UWW range for DX cameras. It was the very first Nikkor DX lens. All Nikon digital bodies had a sensor with the DX format, which had benefits for the tele photographer, but some challenges at the wide end. The lens solved for many years this range and is still on current (higher resolution) bodies a good performer. 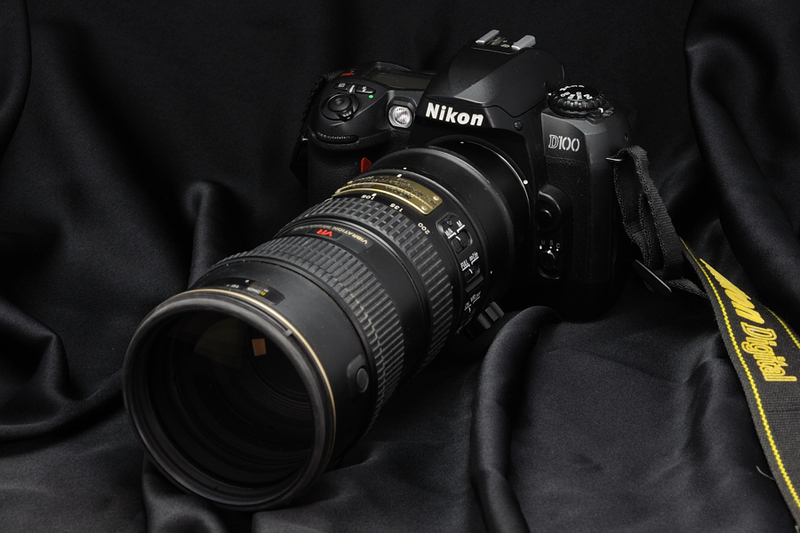 Second, another great lens was introduced – the Nikkor AFS 200-400mm/4G VR, succeeding the legendary AiS predecessor. The 2 remaining lenses were the AFS 17-55mm/2.8G DX and the AFS 10.5mm/2.8G DX Fisheye, increasing the DX lens collection to 3 lenses. In January 2004, almost 2 years after the introduction of the D100, Nikon announced the D70. Potentially overwhelmed by the very positive acceptance in the market and trying to extend teh market under the D100, the D70 had another great price point – 1.000 US $, half the price of the D100. The D70 became instanteniously a huge success. The D70 introduced yet another new body design to simplify the button and dial layout. Compact in size, Nikon showed already in this early stage that they did not intend to lead the marketing rally around ever more resolution – the D70 had still 6 MP. Nikon told us that the 3008 x 2000 pixel resolution was good for 11 x 14 inch printouts. While the frame rate was lowered to 3 fps, the D70 had the CAM900 module like the D100 and 3D Color Matrix Metering with a 1005 pixel RGB sensor. Being in the “lowest” class at that time, of course we got exposure modes, like Portrait, Landscape, Sports, etc .. Another highlight of the D70 was its very fast maximum flash sync time of 1/500th sec – which people vehemently used in fora to show the superiority vs the successors. It was also the time of external storage tanks and Nikon offered the Coolwalker Digital Storage Photo Viewer to the market (with moderate success). I still remember, that the D100 and D70 had a relatively more conservative exposure program to avoid blown highlights in most cases, which contributed to the ease of use and fun this camera brought forward. Battery was excellent as well. 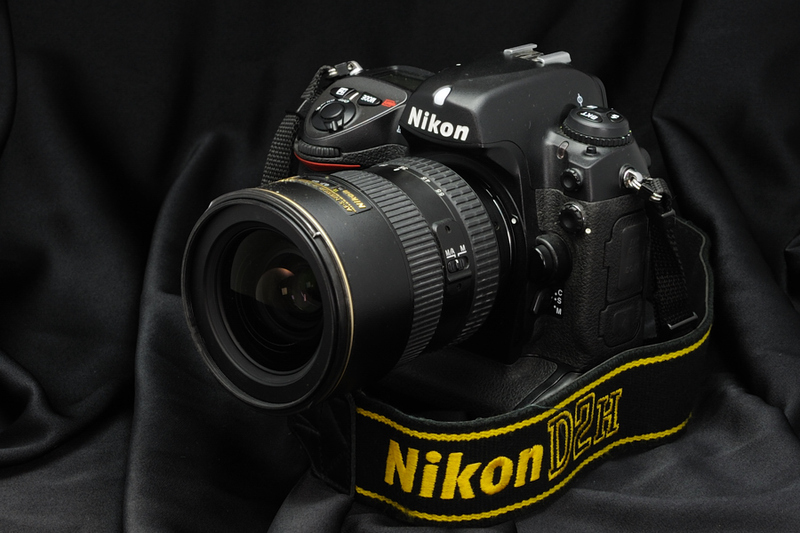 Finally, three and a half years after the D1X, Nikon announced the eagerly awaited Nikon D2X in September 2004. With its 12,3 MP super high resolution versus its predecessor, the shared advanced electronics with the D2H made this camera an instant success. Even today, many remember the color fidelity of the D2X at base ISO, the famous D2X custom curve and the (supposedly) thin AA-filter, providing great acuity in images. Paired with the traditional strength of Nikon’s handlung and usability, it is still an excellent camera today. Another thing this body shared with the earlier D2H was the new battery system. It was not unusal to take 3-4.000 images before the batteries had to be recharged. Fantastic. Anyone looking into an excellent pro body for a good price should get its hand on a used D2X or D2Xs. They are with the exception of low light ISO performance still outstanding cameras. We are talking of 7 years after introduction. Only 3 lenses in 2004. First, the AFS 18-70mm/3.5-5.6G DX which for many years created a signifcant following in the ambitious amateur market (succeeded by the AFS 16-85mm DX). The other 2 lenses introduced were the AFS 200mm/2 VR and the AFS 300mm/2.8 VR – Nikon consequently VRed its pro lens segment. The short and bulky 200mm/2 is such a IQ “beauty” that quite a few shooters used this lens for portrait shootings. This was the year of the consumer line. Nikon introduced 2 pure consumer bodies and 1 semi-pro/semi-consumer. 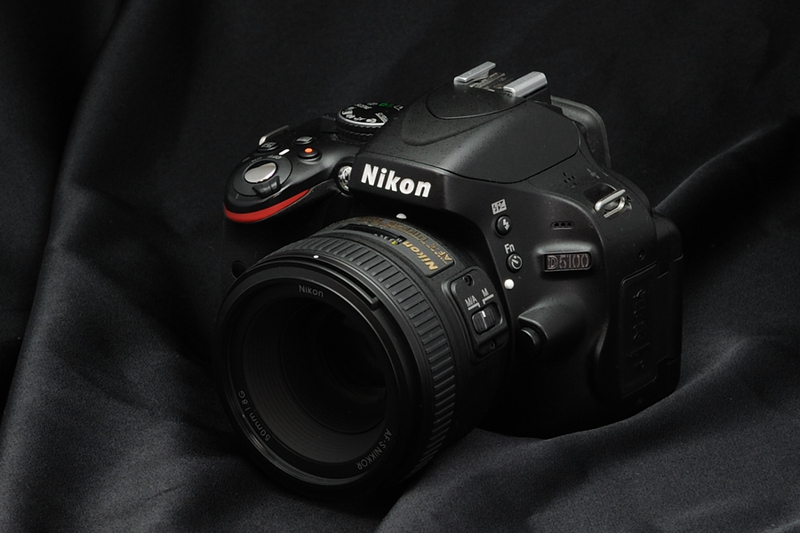 In April, the D50 became the most compact Nikon D-SLR (but still with an AF motor). The camera had basically the D70 sensor, autofocus had 5 AF areas, a a simplified metering system and a new shutter, which allowed to shoot at max 2.5 fps and a minimum exposure time of 1/4.000th sec. According to Nikon, it had a large “easy to view” 2 inch monitor. The D50 marks also the introduction of the ubiquitous kit lens, the AFS 18-55mm/3.5-5.6G DX. Compatibility with the SB600 and SB-800 as tehre as well. It was such a compelling offering that later that year, I bought my – at that time – 11 year old daughter a D50 for christmas. It was one of the most fascinating opportunity for me to watch a young girl get into photography. The D50 became her reliable sidekick for more than 4 years. An astonishing camera. Ops, we are still in 2005. The D70 was upgraded to the D70s with only minor modifications. Same 6mp sensor, same AF and metering system. New was its compatibility with the iTTL flash standard and the Creative Lighting System. Nikon Capture 4 was thereuqired version for the D70s. At the end of 2005, in November Nikon announced the much rumored and anticipated D200. The demand was so high, that people had to wait for months to get their hands on a D200. Backlog lasted until April the following year. It was worth every day to wait for the D200. It was a marvel, cheaper than the D100 and so much better. 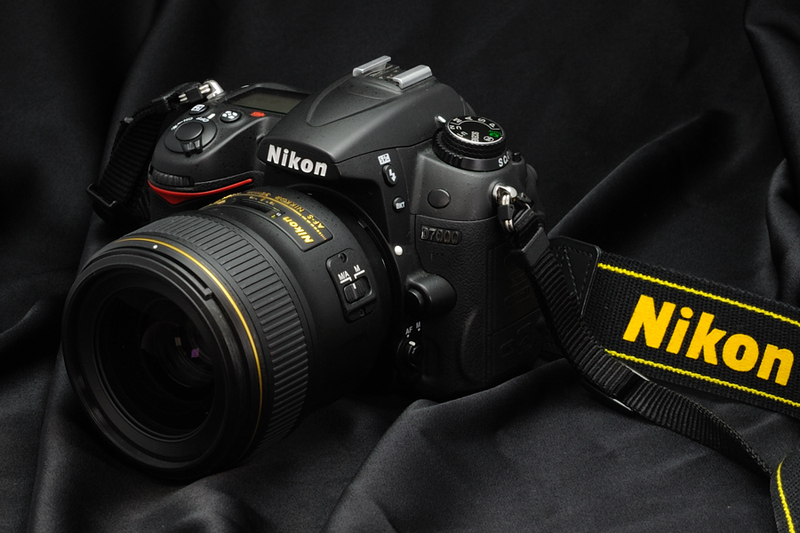 Nikon succeed the (business) feat to get a ton of great technology into the D200. Logically, D200 users were loyal and happy followers for many years. It had a 10,2 MP CCD sensor, the CAM 1000 module with 11 AF sensors was newly developed. For 2005, its ISO capabilites was very good. The screen was bigger (2.5 inch) and much brighter. The D200 could use the WT-3 wireless transmitter and required Capture version 4.4. January 11th, marks an important day. Nikon announced that it will focus only on digital cameras going forward. Basically, it means the transition of Nikon from a film based company to a digital one. Only the F6 and FM10 continue to be available. Many of the of manual focus AiS lenses were discontinued as well. In June, Nikon started off with an upgraded version of the D2X, the D2Xs. The new camera had better screen, much bigger buffer, 30% higher battery capacity and the new authentication capability for law enforcement agencies. 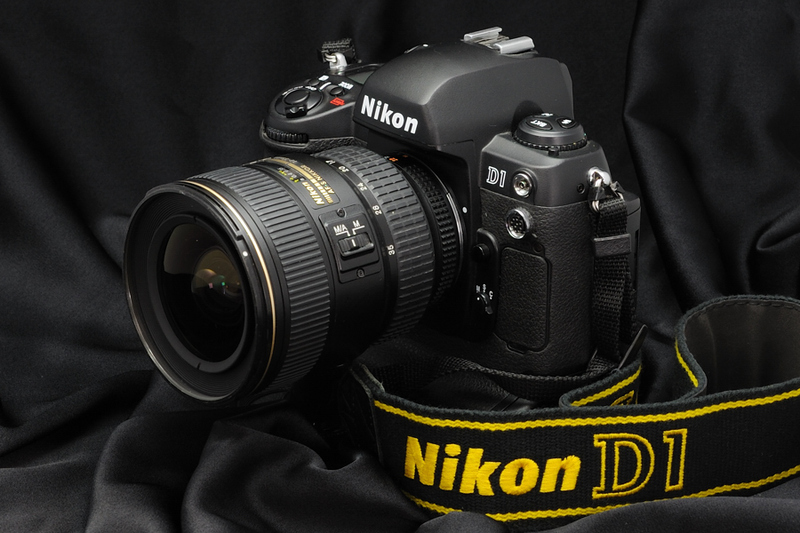 In August, the “official” D70 successor was announced – the Nikon D80. Same price point as the D70/D70s but vastly improved technology and capabilities. In November, Nikon showed of f the new tiny D40. An outcry happend in the community as this marked the first digital SLR body with no AF motor, only able to autofocus with AFS lenses. Some people still complain – even today, but the market reality proved Nikon’s stratgey right. People, especially new to D-SLRs preferred smaller size vs. full function and the D40 became with its excellent high ISO performance an instant success. The 4th line in Nikon’s DSLR lineup was established. This year was quite busy. 3 cameras and 7 lenses. In march 2007, only 6 months after the D40, the 10,2 MP D40x was introduced. In hindsight,m the D40 was the stopgap measure to have an entry level camera ready for the shopping season 2006, but the “real” development with the new sensor was only ready after that critical period. Hence unusual short 6 months between 2 models. August 2007 was a big, let me be more precise, a huge day for Nikon. With great fanfare, Nikon introduced its long overdue FX sensor line. While its main competitor had such an offering in place for a while, Nikons image and position in the critical Pro market was limited by the non-existence of a competitive model. Luckily, Nikon did not follow the MP race and tried outmarketier its competitor with an even higher megapixel count, but chose the wise route for a modest MP size, but incredible ISO capability. It can be easily attributed to the D3, that Nikon was for the second time back in the game for professionals (With the D1 and D3 series). As of today, not many cameras match the low light capabilities of a D3, it is easily one of the most versatile bodies introduced by Nikon and deserves as much credit as the D1 for the nimbus of Nikon D-SLR cameras. Hint: If you are currently on a DX body look through the viewfinder. 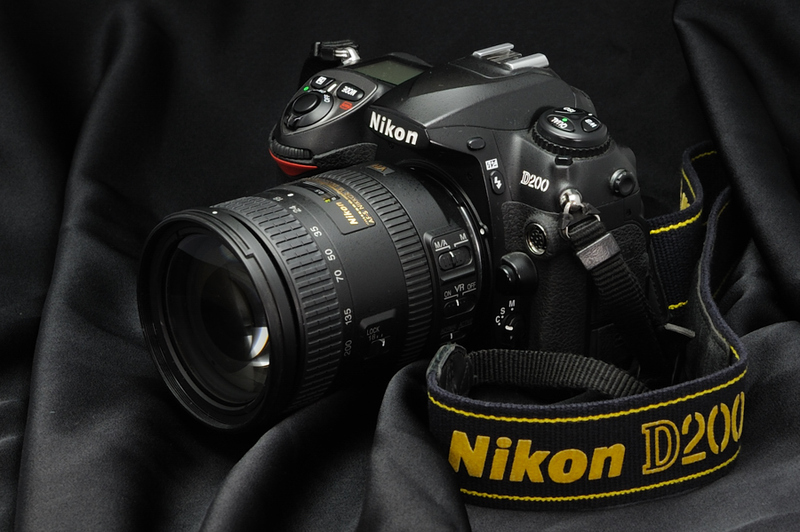 At the same day, Nikon also announced the D300, its top-of the line DX model. Undeserved, it got less attention than the all new D3, but still a formidable camera. In this year, both kit lenses 18-55mm and 55-200mm were upgraded to VR versions. More importantly, the D3/FX announcement in August was accompanied by 5 new lenses, 2 all new. The super tele photos 400mm, 500mm and 600mm were upgraded to VR and at the shorter end, the huge, and still fantastic all new AFS 14-24mm/2.8G ultra wideangle zoom as well as the new AFS 24-70mm/2.8G standard zoom were announced. Asof today (2011) the AFS 14-24mm is still by far the best Nikkor UWW zoom (primes in this range included). The 24-70mm is still an outstanding lens as well – potentially its biggest drawback its lack of emotional connection it triggers with its owner vs. the AFS 14-24mm and AFS 70-200mm. 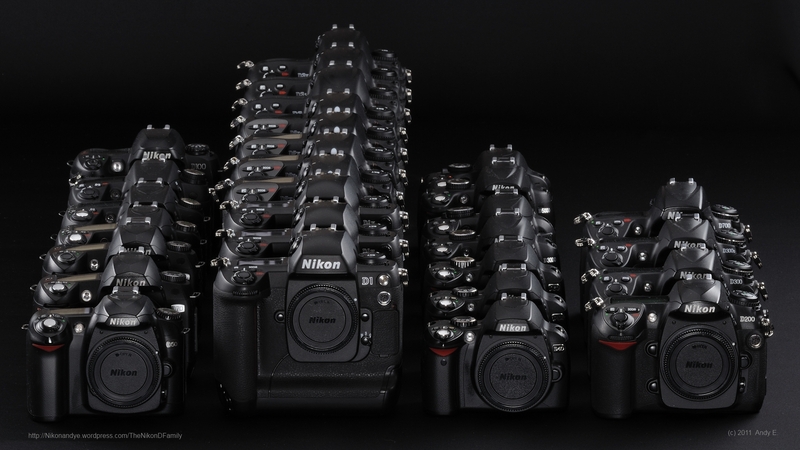 One of the most productive years for Nikon – 4 new bodies. In january, the D60 as announced, again 10 months after the D40x with very similar specs – I am really not sure, why and how this model was positioned, but nevertheless, it marks the last 2-digit entry level body before the D3100. In July, a year after the D3, the D700 hit the market by storm. 40% cheaper than the D3, this camera was picked up by many pros as second body and FX-starving serious amateurs alike. Its 3 year lifecycle is evidence for this outstanding design and positioning. August marks the introduction of the last 2-digit body, the D90. Based on teh same sensor technology as the D300, benefiting from the advances in electronics and software, the D90 could often produce better images than the pro-level D300. It had roughly a 2 year lifecycle until the D7000 appeared. In december, Nikon announced the up to now highest resolution FX camera in the D-SLR line – the 24.5 MP D3x. Its price tag of 8.000 US $ caused initially a lot of stir in the market as the price increase to its immediate successor, the D2Xs, was a remarkable 70%. Luckily, the turmoil in foreign exchange rates made UK a very interesting D3X territory. Nikon introduced 7 lenses in 2008. The PC-E 24mm/3.5D ED is the first lens with an electrival driven apterture, addressing a long standing limitation in the eveolution of the F-mount. The same date in january, Nikon introduced the nano coated AFS 60mm/2.8G Micro lense. With its flat field curvatore, this lens is one of the standard reference lense in terms of sharpness. 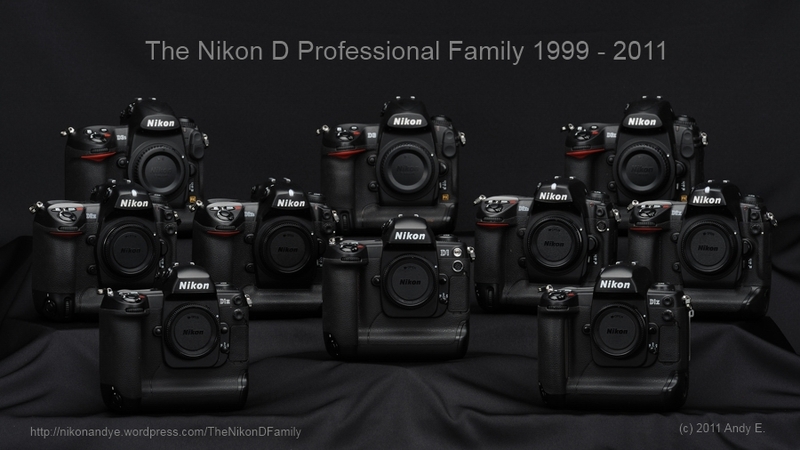 In 2009, Nikon kept its pace from 2008 and introduced another 4 new bodies. In April, the D5000 as kind of smaller D90 successor. Nikon seemingly tried to split the successful line into 2 successor lines – the D5000 at the lower end and the D7000 at the upper end. 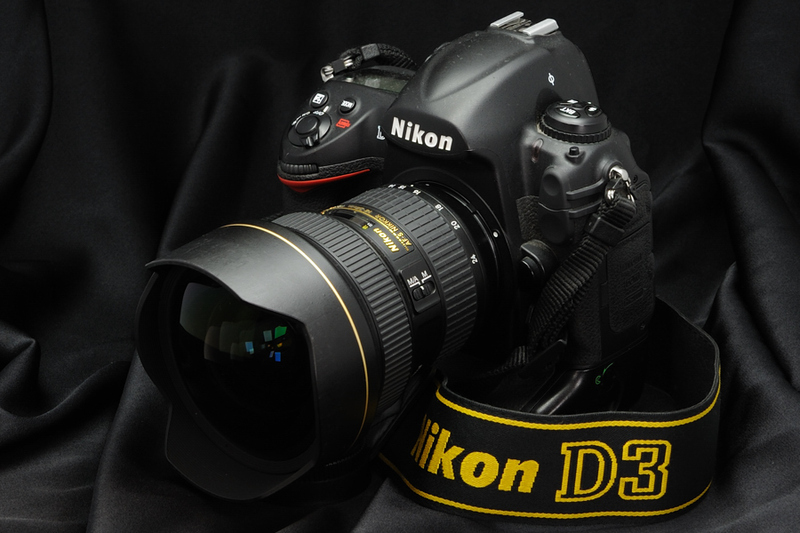 2 years after the D300, Nikon announced the upgraded D300s in July. Just mentioning video capabilities. 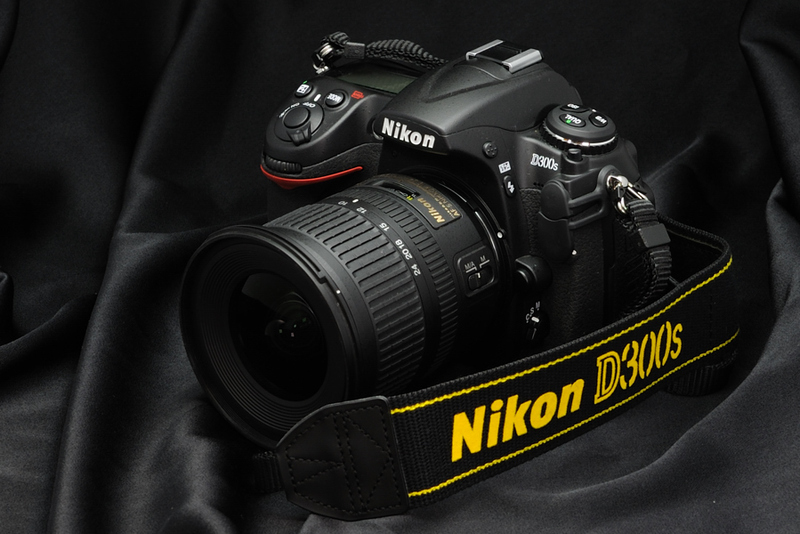 The D3000 as D60 successor was alos announced. October marks the introduction of the current low-light high-ISO performer. The Nikon D3s. Comparing the D3s with the D1 easily demostrates the incredible rate of progress we had in such a short amount of time. Only 2 bodies in 2010. In August, the D3100 was announced. This camera is remarkable in a sense, as it is rumored that this camera is the first Nikon D-SLR with a sensor designed and manufactured by Nikon. No comment from Nikon on this (of course). In September, the much anticipated D7000 was announced, as the D90 had such a huge community. 2010 marks the most productive year in Nikon’s lens department – 9 new lenses in one year – world record! 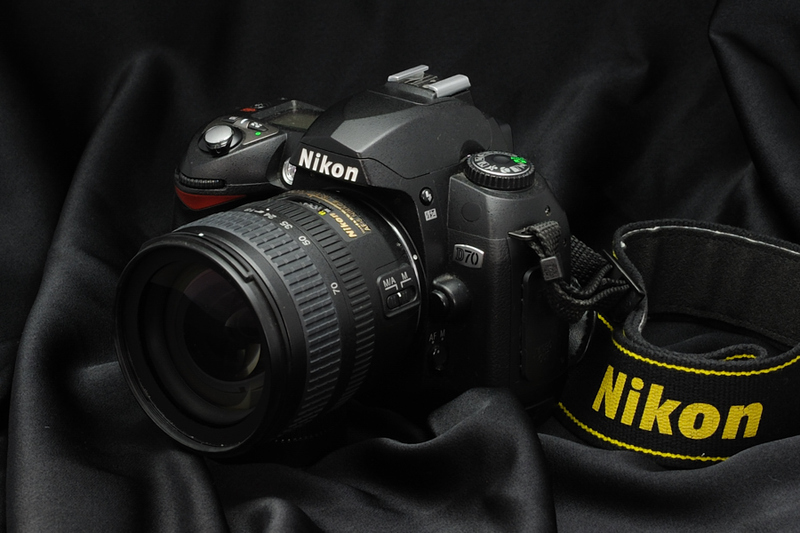 In March 2011 Nikon announced its 28th digital SLR body, the first with a tilt and swivel display. 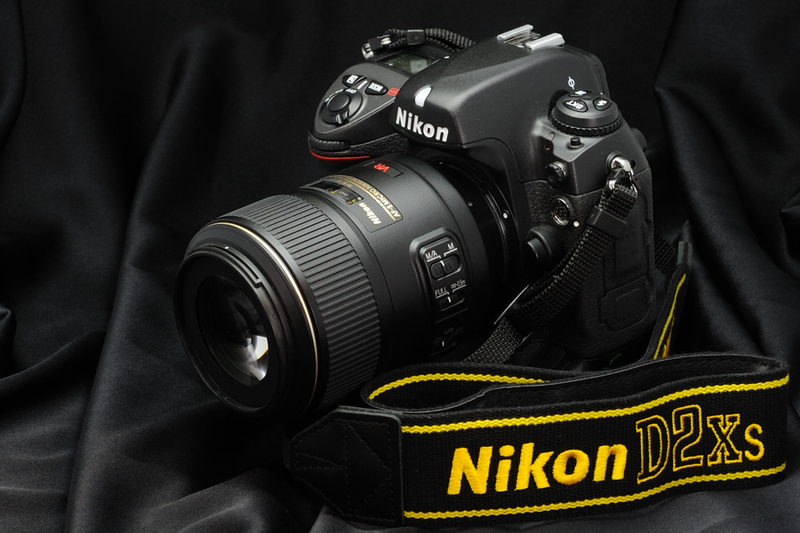 The Nikon D5100 with great HD video capabilities and the smae senso as the much higher priced D7000. Without a doubt, the first 12 years in Nikon’s digital D-SLR history brought forward an incredible 28 new camrea models in basicall 4 product lines. Accompanied by 55 new lenses, people could hardly argue that there are still some holes in this portfolio. On behalf of the Nikon Community out there, I’d like to thank Nikon for all the fun and joy they brought into peoples life, congratulate to the 12th birthday of the now legendary Nikon D1. Introduced back in the last millenium on june 15th, 1999 and we all look forward to the next 12 years. To put things in perspective, when Nikon announced the Nikon F camera in 1959 it took Nikon 12 years to introduce the next professional body, the Nikon F2 in 1971. I ran out of weekend time to write this story, completely underestimating the richness of the timeline and hence length such a story could take. Please read this article as an out of memory celebration to the 12 years we all enjoyed and I will potentially refine some parts over time going forward. I have way too much material to cover in one article. I’d like to thank NPS Austria for their support.